Storage Outlet helped me and my family get a unit. Thank you so much. Lots of security cameras, hours are great. Massive frieght elevator makes second floor access a breeze. The storage area is very clean, very spacious. Went into the office and everything looks neat, smells good:). Very friendly employees, offered me refreshments. Would recommend this storage. 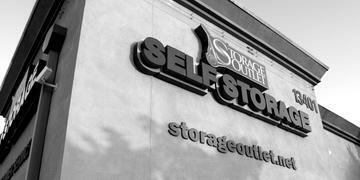 Rented a unit at this place and have been really happy with the professional service and the CLEAN storage facility. Would recommend to anyone looking for a easy no hassle place to store belongings! Need A Storage Unit Through Your Divorce? Divorce can be a trying time, add moving to the equation and divorce is exasperating.